This photo of the groom and his groomsmen is based on one of our favorite poses for wedding parties, where we pull the central character(s) forward from their entourage and use a wide aperture to send them (and the background) into softness. These guys are standing in front of Sodo Park in Seattle, where the wedding was taking place. 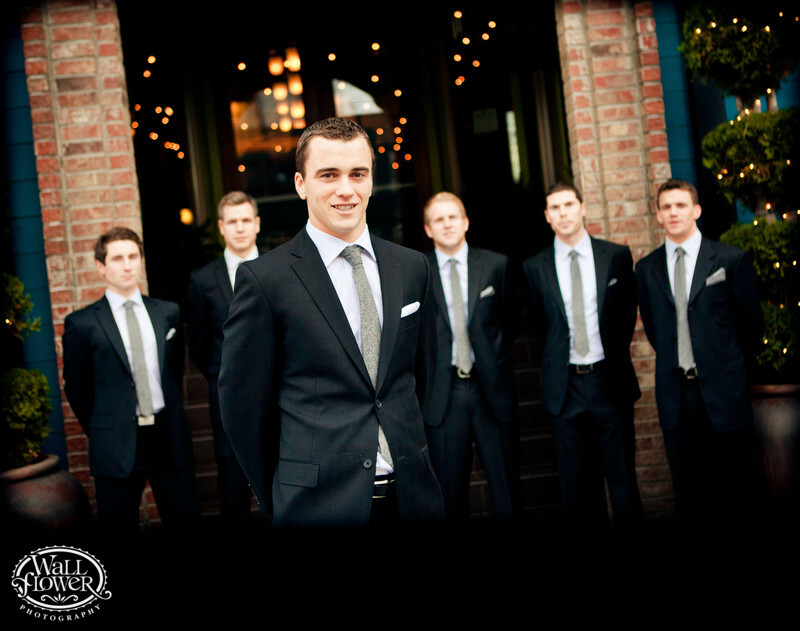 The groom is a professional soccer player, most recently with Sounders FC.